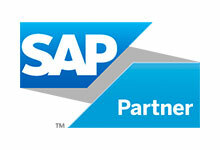 Integrate your SAP data in your MicroStrategy Destination – fast, straight-forward and user-friendly. 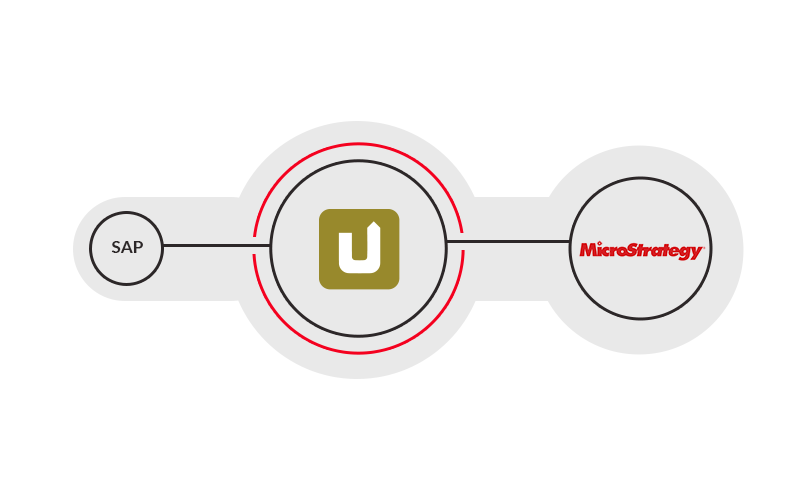 Microstrategy is the leading provider of powerful analytics that transform business. The offered software solutions and expert services empower every individual with actionable intelligence, helping enterprises unleash the full potential of their people and investments. 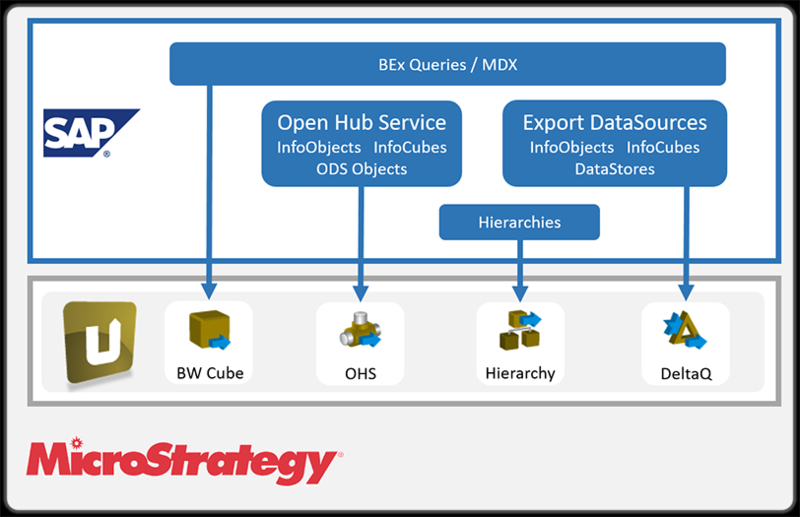 By combining MicroStrategy with Xtract Universal, users are able to unleash their SAP data out of a wide range of SAP systems and push the data into in-memory cubes in MicroStrategy. 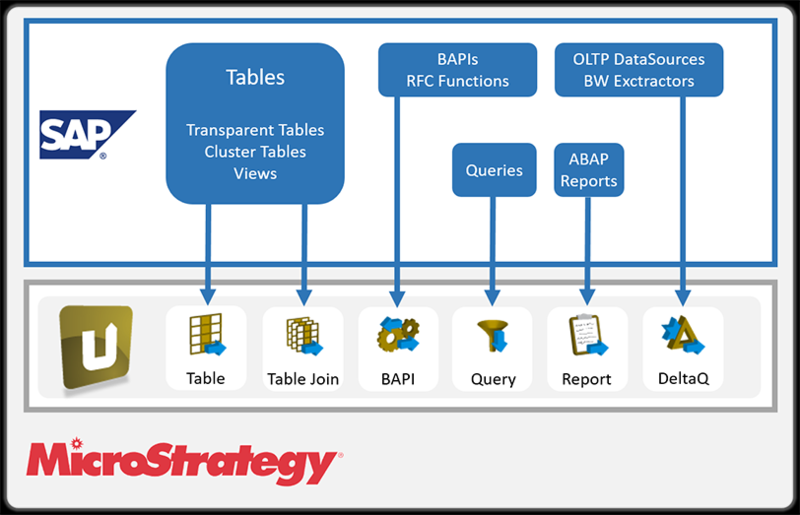 Business users can then use MicroStrategy to analyze the data, blend the data with other sources, and deliver dashboards to other users.